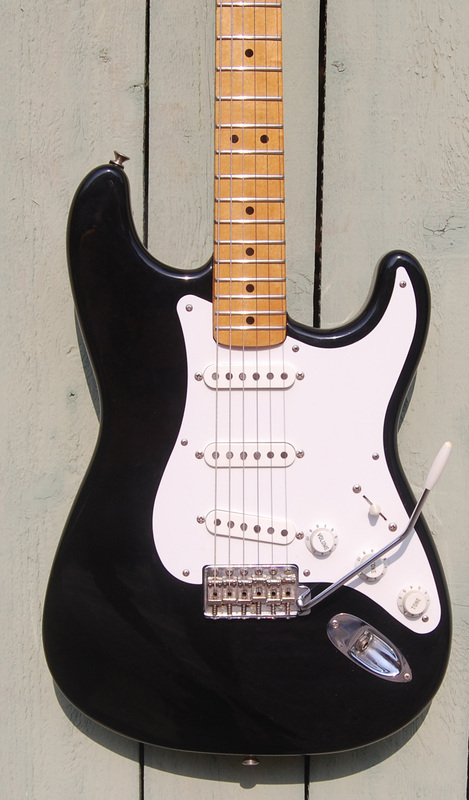 1988 Fender Vintage ’57 reissue Stratocaster . Black. 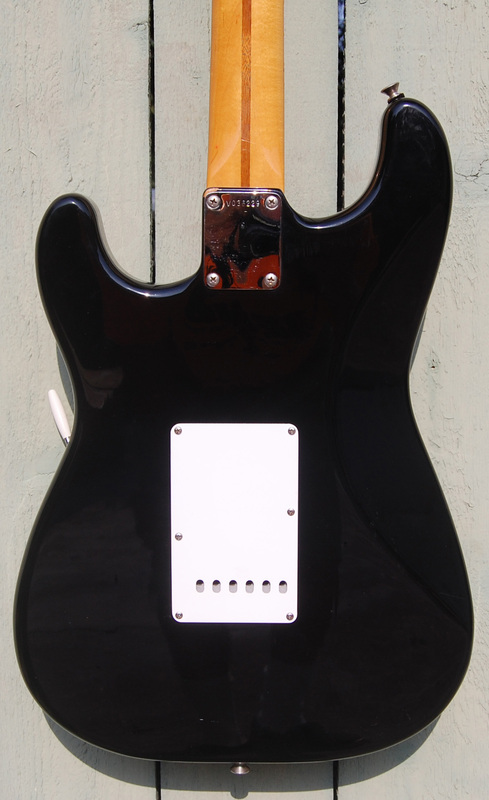 One owner 1988 Fender Vintage '57 reissue Stratocaster in custom color Black. 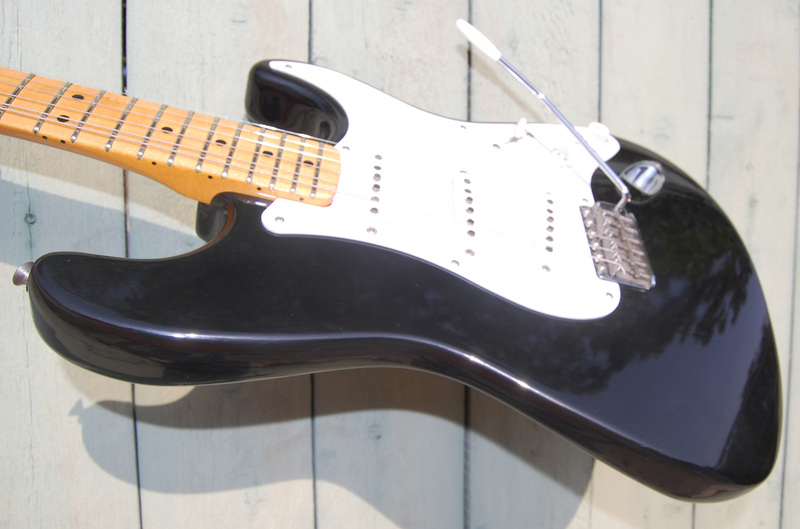 Excellent condition for a 30 year old guitar. 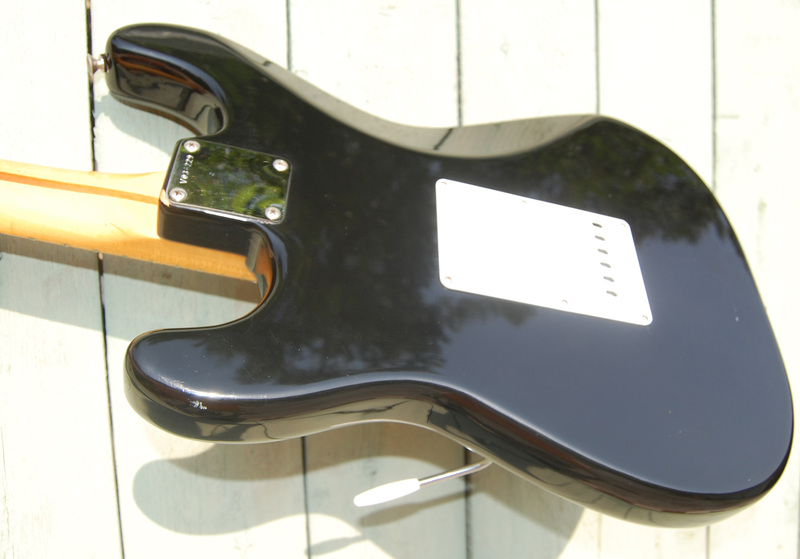 Has been refretted with Jumbo frets and plays fantastic. Easy bends. Low action. 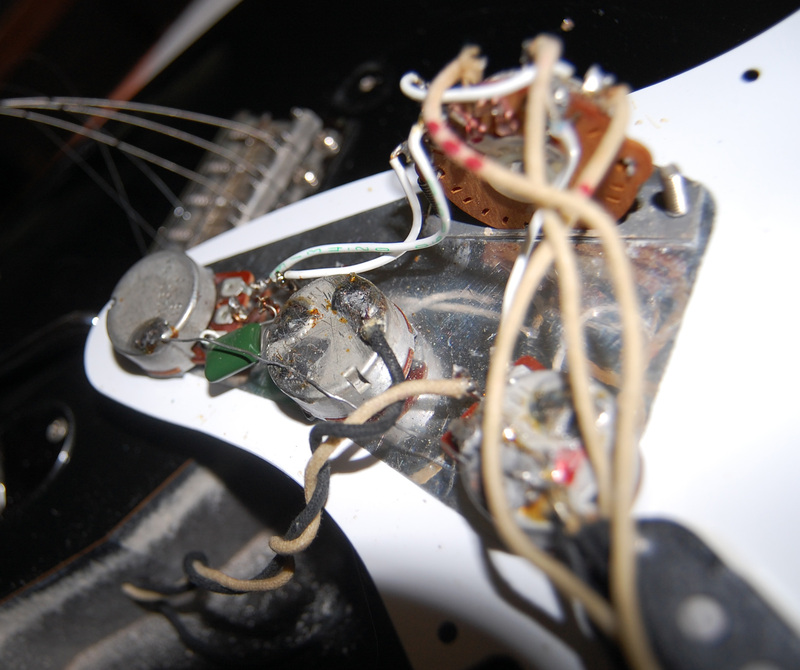 The tone pots have been swapped out for 500ks and sound too good to change back now. Guitar weighs 8 pounds 1 ounce and rings like a bell. Twangy as can be. Original 3 way switch still installed. Guitar sounds great in all positions. Hard to put this one down. 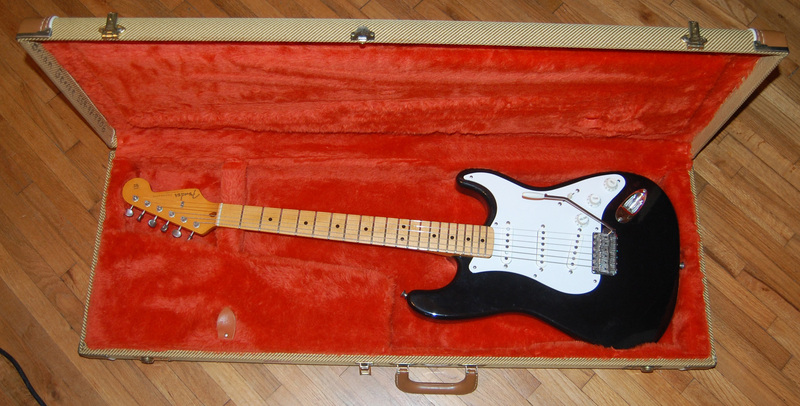 Comes in original Fender tweed case in great condition with no smells.